Tory MP Jacob Rees-Mogg introduces his son, Sixtus Dominic Boniface Christopher Rees-Mogg. 2. 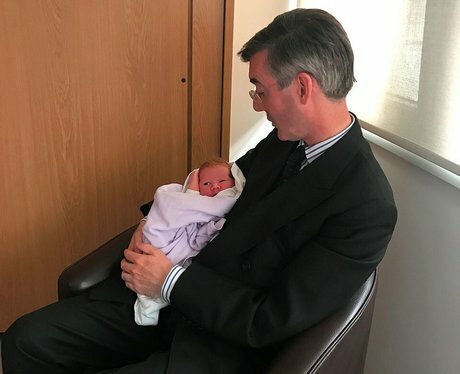 Tory MP Jacob Rees-Mogg introduces his son, Sixtus Dominic Boniface Christopher Rees-Mogg.